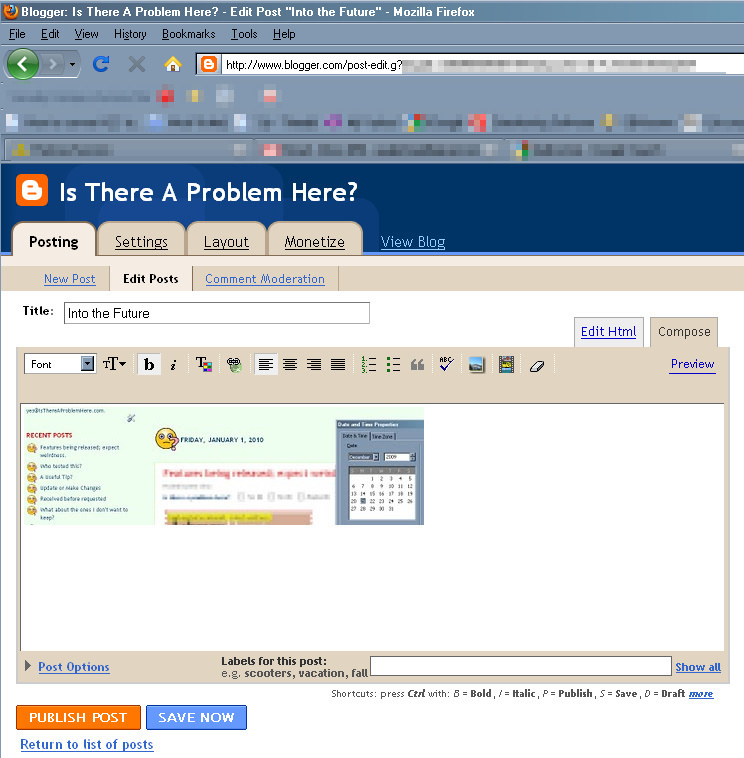 I upload an image to Blogger from Picasa using the BlogThis! button. 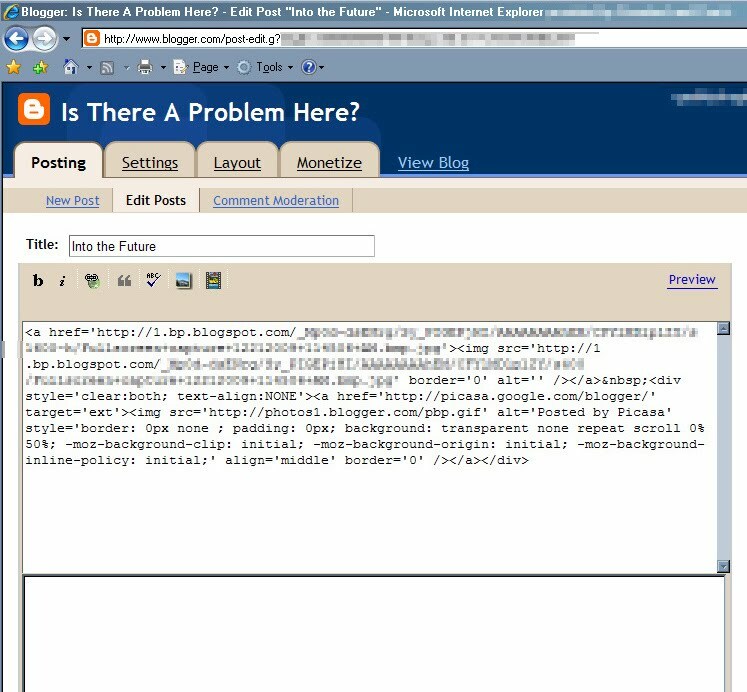 Picasa launches Internet Explorer so that I can write/edit a blog post using the image. However, the page doesn't display properly. Tabs are missing, buttons don't work, and the edit box isn't formatted properly. Edits aren't saved when I click the Save button. This used to work with Internet Explorer 7. Firefox, my preferred browser, seems to work just fine.